I felt it in the shower. It felt hard and very out of place. Of course, cancer was my first thought and my heart began racing immediately, I was almost choking on my breathe out of fear, but then… I just had a miscarriage so I wondered could it be lactation? Could it be some kind of hormonal disorder? Whatever it was, I just wanted it to go away. This was how the journey called cancer started. I discussed my discovery with my now ex-husband and his input was alarming! He simply let his insecurities show it’s ugly face by saying I was seeking attention and just wanted a doctor to touch my breast…..WTF? Anyways I went ahead to see a doctor. It was tough getting a doctor as I only just relocated and I had no insurance. I didn’t know anyone as I was practically restricted from social interactions. I didn’t have guidance on the right steps to take, but it worked out miraculously and I got an appointment. It was another month and a half of testing and sleepless nights. 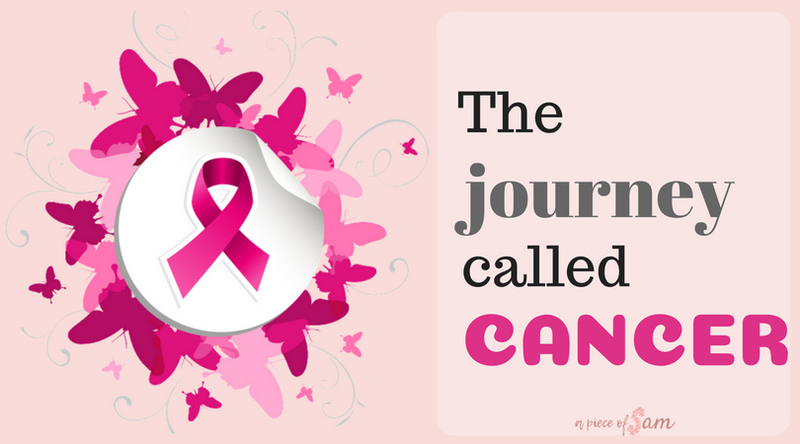 It started with mammograms and ultimately progressed to a needle guided biopsy. I had a CT scan and MRI. That month felt like years if you know what I mean, but I held on. Then I had a follow-up appointment and the results were ready…...INVASIVE DUCTAL CARCINOMA!!!! Never heard of it….what does it mean? I felt a rush of emotions, I was numb, confused, shocked, distressed, sad, mad and some strange emotions that can’t be explained in words. I felt like I was all alone in this world, I had people physically present but I could only see black. I felt like I was caving into the darkness. I reclaimed my sanity…. partially, and began asking questions about breast cancer because I realized early enough that this fight involved my God and I. I had to face this head on and thankfully believed I had the best medical team possible. I have tried to understand how these things happen. I come from a background in Africa where we quickly attribute every unfortunate event to voodoo. So I was thankful that I happened to be in the best country in the world and I could get real answers and real treatment. I was scheduled for a BRCA1 & BRCA2 test and OMG my results were “cause unknown.” Ha! I was disappointed because I really expected answers. So many theories went through my head…..could this be happening to me because of my love for the color pink? (this is totally untrue, not even scientifically proven) It’s just amazing what you think about when in distress. There were a lot of tears, depression and dark days but I can attest to the role GOD and OPTIMISM play in the fight against cancer. This was and still is my mantra: John 11:4. I will chronicle my journey through this challenging times, so stay with me on the wellness section of this blog. I always learn a thing or two from the courage you exhibit. You got the fight in you its a blessing. May God heal you completely. This is touching, Esama the Bible says God bore our infirmities, I also had a challenge but I held on to the word of God, receive My healing, be strong for there nothing too difficult for God to do, affliction shall not arise the second time Amen! All God wants is for you to be more closer to Him. He is the God that health thee. God healed me from an ovarian cyst weighing 9.7. He will perfect His healing in you. Only believe. May The Lord here all our your prayers and heal you completely. You are blessed. ooh my friend you are strong! My Boo Boo… . One of the Strongest women I know…. God saw this one and took you to a better place… His also healed you of “ALL”. We will continually be Thankful… You Go GURL… Am super proud of you…..
You are an inspiration and source of strength..
My friend had breast cancer and is now recovering from it. Only 6 more radiation treatments to go and she’s done. Good for you for finding the courage to fight this battle even though apparently you didn’t have a strong husband beside you to hold you up when you felt weakest and lost. You’ll come to your day, just like my friend, where you can say, ‘only 6 more treatments to go’!